This new year, expect a brand new update from the known name, Xiaomi to its flagship device Redmi Note 4. 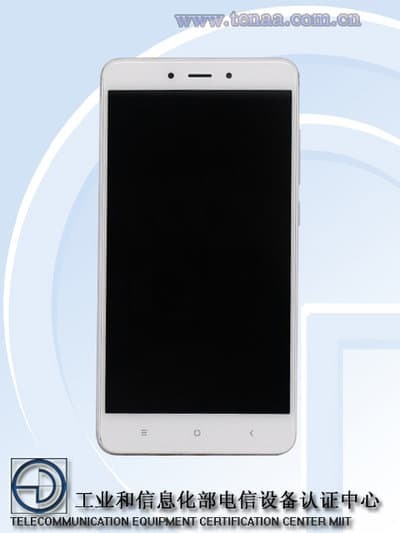 A Chinese website has recently leaked an updated device, named Redmi Note 4X with its refurbished specifications and some camera-taken shots of the gadget. Do you have a knack towards Xiaomi products? Then you might want to check out what we have captured from the corners to cover the bridge. Less than a week ago, the Chinese consumer electronics company Xiaomi re-launched the Redmi 4 in two different shades namely Blue Coral and Black Pearl. However, the company has already started making its list of products for the upcoming year. What can we expect in this gadget? Powerful RAM, expansion in storage and a fast, updated processor. “Tenna”, a Chinese site reveals that the phone will possess a 4 GB RAM and will also be offered in 3GB and 2GB variants. The company geeks have also decided to broaden the choice of inbuilt storage, following which the Redmi Note 4X will come with 16 GB, 32 GB, and 64 GB variants. Zooming out, the phone seems to carry its design texture from its predecessor, Xiaomi Redmi 4. Weighing 176.54 g, the phone has a dimension of 151x76.3x8.54 mm. According to the rumors, it will be available in gold, silver, and gray color variants. The front side is glued to a 5.5 inches TFT screen sporting a resolution of 1920x1080 pixels. Referring to a third party source, the phone is assumed to bear a Snapdragon 653 clocked at 2 GHz. Housing a 4000 mAh battery, the phone will run on Android 6.0 Marshmallow coupled with MIUI 8.1. Camera-wise it is speculated to have a 13 MP rear camera but no details on its price are available till now. Hoping to catch more on this, let us know what you think of this make over.